S.C. Representative Bill Sandifer was elected Chair of the Energy and Environment Committee of the Southern Legislative Conference (SLC) at the organization’s 68th Annual Meeting in Little Rock, Arkansas. The Energy and Environment Committee is one of the SLC’s standing committees and it focuses on developing energy and environmental policies that ensure sound stewardship of the southern states’ resources and the region’s economy as a whole. This includes policies aimed at sustaining economic development, meeting growing energy needs, and maintaining the South’s high quality of life. The committee studies issues such as clean water programs and water permitting, alternative energy, the federal Low Income Home Energy Assistance Program (LIHEAP), state compliance with federal clean air and water standards, the future for nuclear power, the role of merchant power plants, the ramifications of deregulation on Southern states, growth and sprawl, and public utilities. Sandifer, who lives in Seneca, represents Oconee County’s District 2. He is chairman of the S.C. House Labor, Commerce, and Industry Committee, which reviews all business-related legislation. Founded in 1947, the SLC unites 15 member states including Alabama, Arkansas, Florida, Georgia, Kentucky, Louisiana, Mississippi, Missouri, North Carolina, Oklahoma, South Carolina, Tennessee, Texas, Virginia and West Virginia. 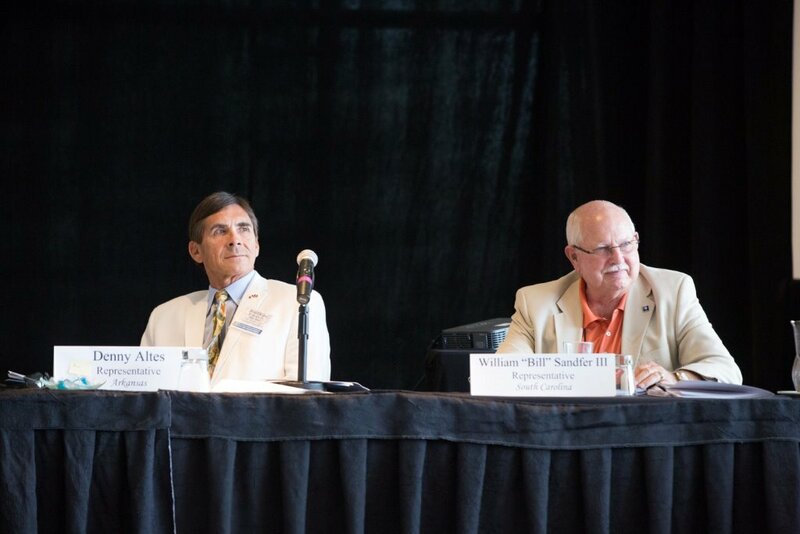 By working together within the SLC and participating on its committees, Southern state legislative leaders are able to speak in a distinctive, unified voice to address the issues that affect their states and the greater region. For more information about SLC and its Energy and Environment Committee, please visit www.slcatlanta.org.